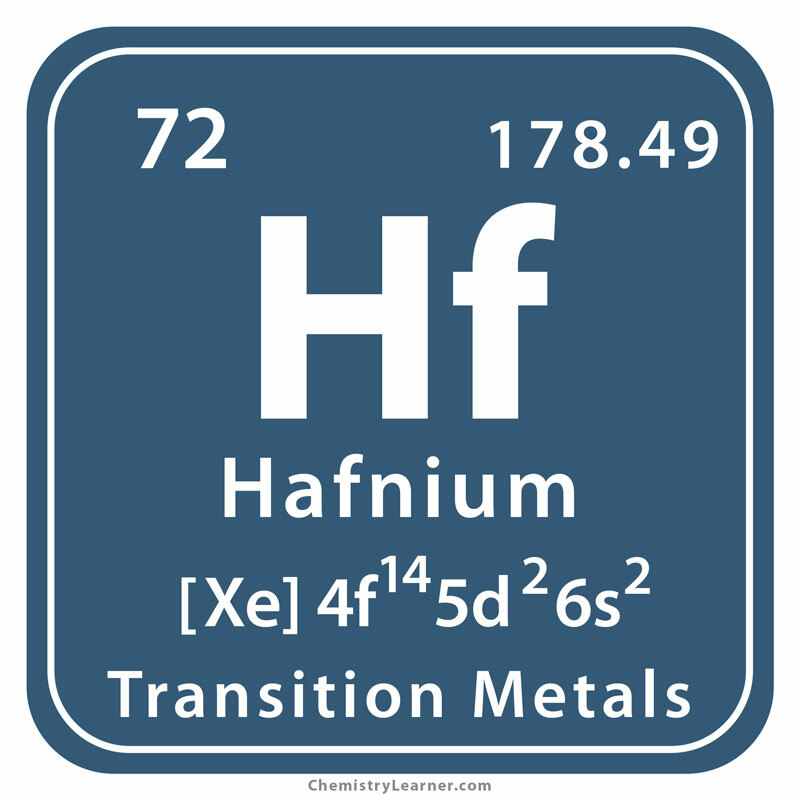 Hafnium (pronounced as HAF-nee-uhm) belongs to the family of transition metals, denoted by the chemical symbol Hf. It has thirty-two isotopes with known half-lives, of which only six exist naturally [1, 2]. It is extracted from zircon ores whose major sources are heavy mineral sand ore deposits found in the USA, Malawi, Australia, and Brazil. Hf is also mined in other countries like India, China, Ukraine, and South Africa [11, 17]. Its name is derived from Hafnia, the Latin word for Copenhagen . Dirk Coster, a Danish Chemist, and George Von Hevesy, a Hungarian chemist discovered it in 1923 . 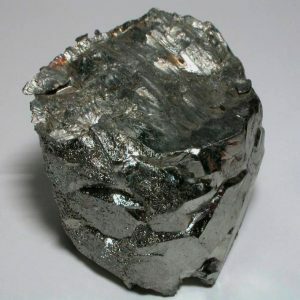 The existence of the metal was initially predicted by the Russian Chemist, Dmitri Mendeleev who had mentioned in his book “the Periodic Law of the Chemical Elements” about an element having similar properties to titanium and zirconium, but heavier than them. 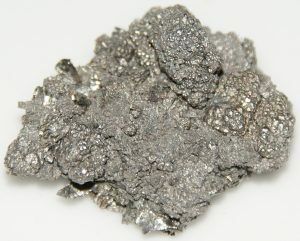 In 1911, George Urbain, the discoverer of lutetium, assumed that the element 72 in the periodic table had been found out by him through spectral analysis of rare earth elements, and named it celtium. However, it was proved to be a mixture of lanthanides after three years. In 1921, Neil Bohr advised Hevesy to analyze zirconium ores for finding out the missing element. 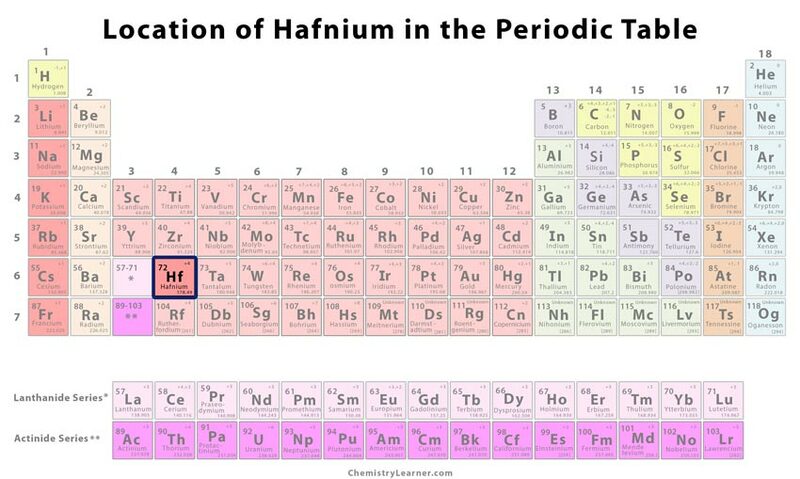 Two years later Hevesy, along with Coster, used X-ray spectroscopy and discovered hafnium. 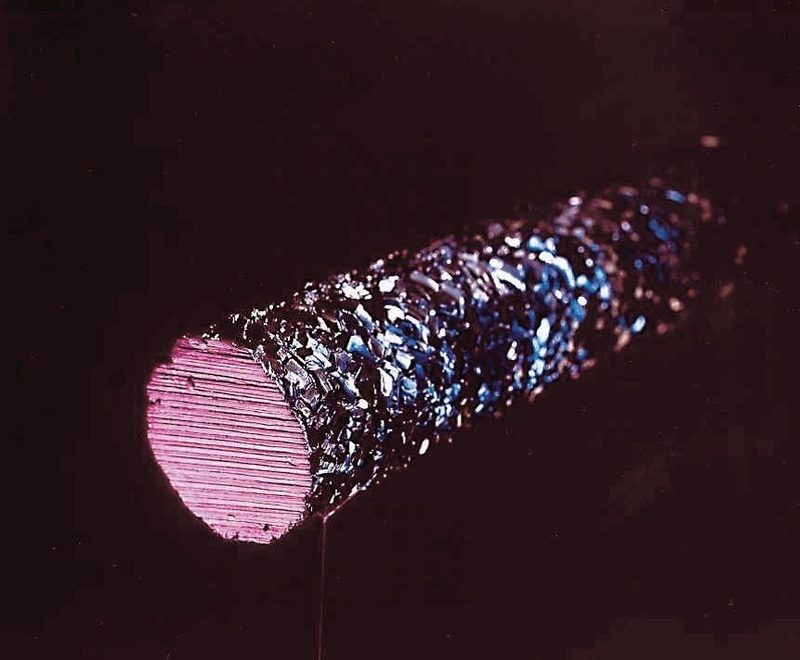 Later in 1925, Anton Eduard van Arkel and Jan Hendrik de Boer determined a new method for producing pure hafnium crystals by decomposing hafnium tetraiodide (HfI4) on a white-hot tungsten filament . 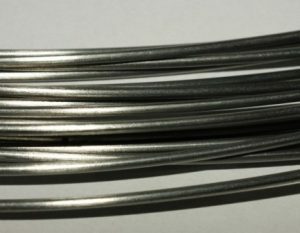 A good absorber of neutrons, Hf is applicable in making control rods of nuclear reactors such as those used in nuclear submarines [1, 2]. It is used as a reactive material known as a getter in vacuum tubes for removing traces of gases like oxygen and nitrogen, and other unwanted contaminates [2, 10, 11]. 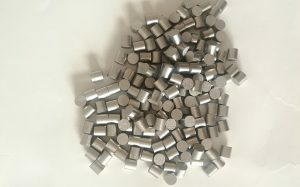 It alloys with many metals such as tantalum, iron, and titanium, and niobium that in turn have several other applications . 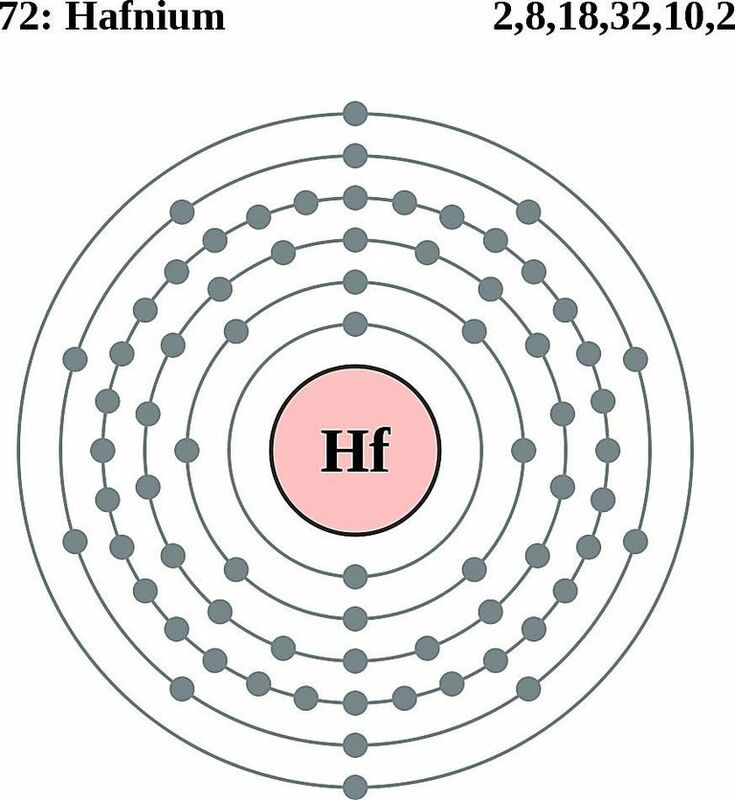 The element is used in light bulb filaments, photographic flashbulbs, ceramics, and electronic equipment like cathodes and capacitors [3, 11]. It is used in turbine blades and vanes of jet engines . 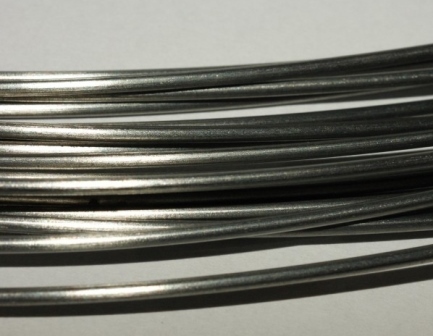 The metal plays the role of a catalyst in many polymerization reactions . 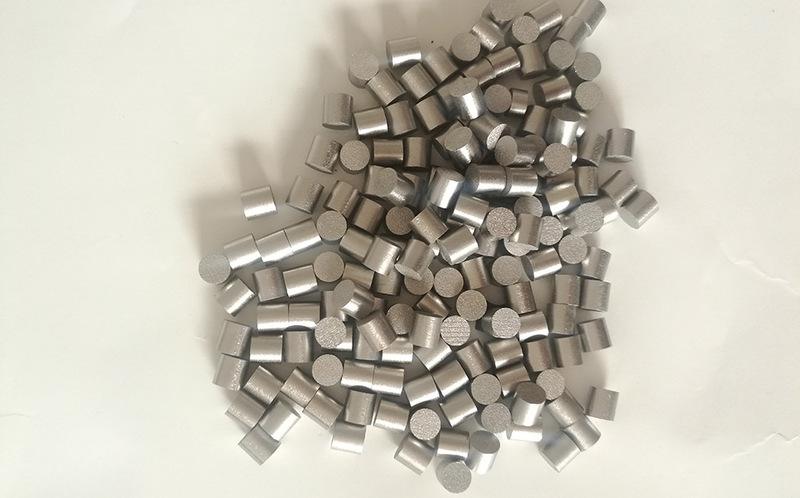 Hafnium has applications in welding torches and plasma cutting tips [5, 28], while hafnium carbide is useful as a lining for kilns and high-temperature furnaces, owing to their respective high melting points [3, 12]. 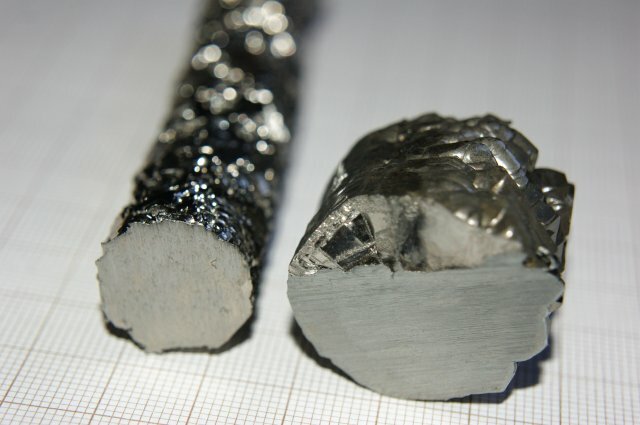 Apart from pure Hf wires, hafnium diselenide and disulfide function as good semiconductors [16, 19, 20]. 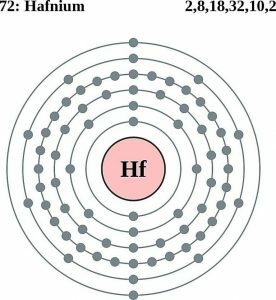 An isomer of Hf, Hafnium-178-m2, has a half-life of thirty-one years, releasing its stored energy, that is 10, 000 times as much as in one gram of TNT, in the form of gamma rays, making it a potential bomb. However, no study has yet been able to confirm its usefulness as a nuclear grenade [14, 15]. Some researchers have also proposed its application as a gamma-ray laser . 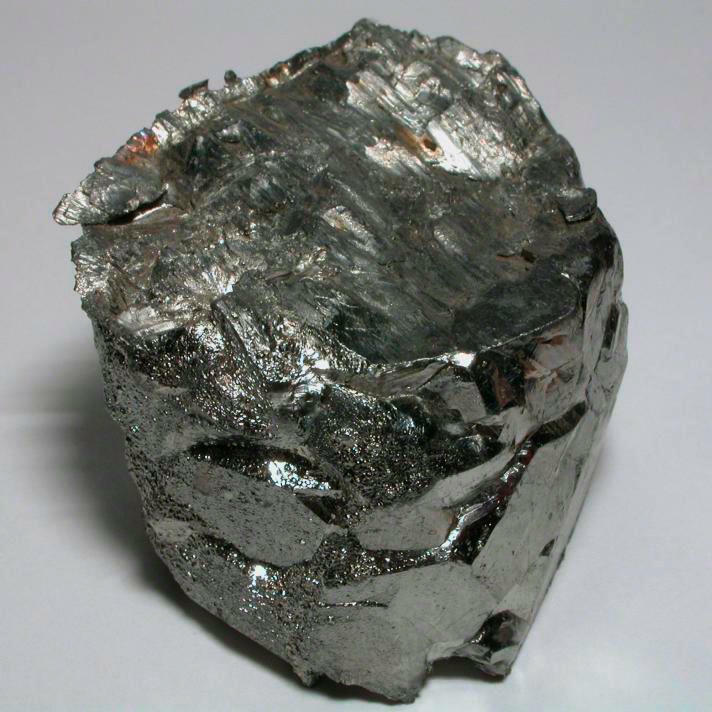 Since hafnium’s abundance in earth’s crust is estimated to be 0.00033%, it’s not considered as a rare earth metal . 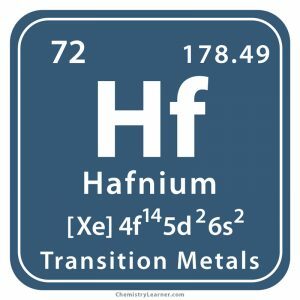 The beginning part of the electronic configuration of Hafnium is equivalent to the noble gas of the previous period Xenon and is abbreviated as [Xe] to keep the notation from getting too long . It may catch fire when in contact with moist air or water. Hf and its compounds may also cause eye, skin and respiratory irritation. Prolonged exposure may have toxic effects on lungs and liver . The cost of Hf is somewhere between $100 and $130 per 100 grams.